Some tips before embarking on a street food trip is make sure you have plenty of wet wipes/tissue, hands free, loose change at the ready and stomach space! There's a lot of offal in this post and is absolutely a must eat for the adventurous. For non-fans of offal, there are still plenty of great street foods to be found. Lap cheung fan. Chinese preserved sausages with rice in a steamer. This is especially great in the winter to warm you up from head to toe. They are usually served as takeaway portions so avoid if you don't have tummy space. Siu mai underneath and dumplings on top. Glutinous rice with chicken and chinese mushrooms wrapped in lotus leaves to the back. A selection of offal, sausages and octopus tentacles on sticks. Lots of deep fried snacks. Typical street food set up. Fishballs in the back. Curry flavour and spicy flavour. Famous stinky tofu right at the front. 2 must eat street foods: curry fishballs and fish siu mai. Creepy hand.. and lots of snacks on sticks. Close up of the intestines. Deep fried squid and fish at the front. This is one of my favourite street eats, intestines, octopus tentacles & kidney. Drowned in mustard and sweet sauce aka hoi sin sauce. Braised beef offal, one of my favourite street foods. Braised beef offal from a different stall. 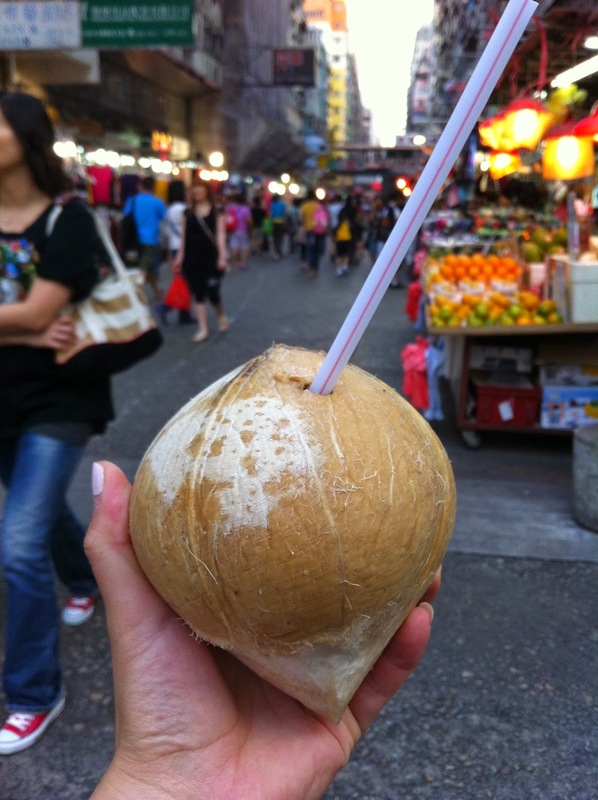 This one was at 174-176 Fa Yuen Street, Mong Kok and is one of my favourite stalls. Fish siu mai in a tub rather than on stick. Rice rolls and fish balls mixed platter! Stinky tofu. Despite its name, it's not stinky at all. Rice ball filled with ingredients of your choice. Mine definitely had pork floss and preserved veg in it. You select all the things you want; then toss it in a bag with sauce; you eat with 2 skewers in lieu of chopsticks. Papaya milk with round egg waffles aka gai dan jai. Crispy waffle exterior with fluffy and slighty chewy innards. Piping hot. Another famous HK street food. Hot glutinous rice cake with red bean filling. Old style HK sweet snack. Steamed bun with lap cheung in the middle. I love this! 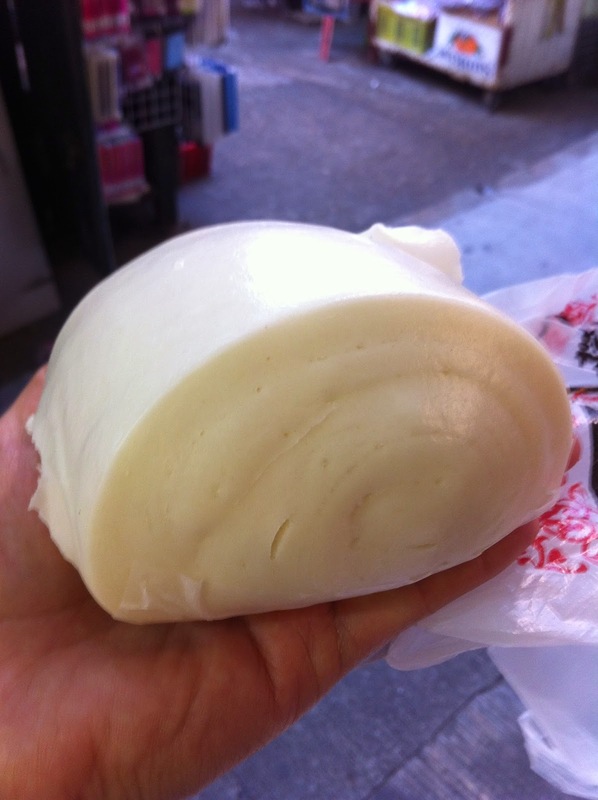 Plain steamed mantou. That fluffy cloudy of happiness is my perfect breakfast/snack. Mong Kok. Way better than the usual young coconuts. Traditional Chinese desserts. Lots of 'goh', which means cake. Bak tong goh. White sugar cake. This is an iconic dessert thats been around for years and years. Not easy to find a good one but a good one should have a light springy texture with a plain fragrant sugar flavour. More traditional cakes on offer. The litte round rounds with black dots in them are the best! 'Bowl pudding' or 'bute jai go' with or without red beans go way back in the hearts of Hong Kongers.